What can I say? 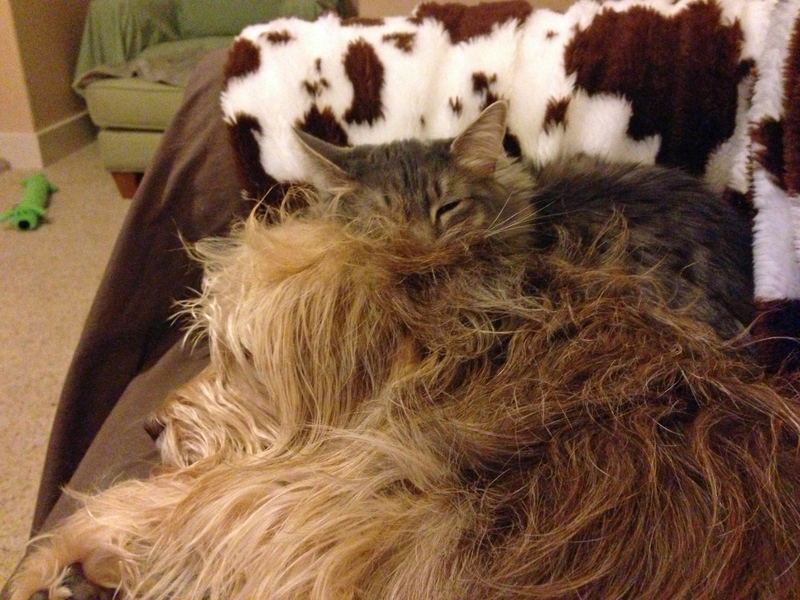 My animals have a way of finding … well … some of the strangest places to sleep. First, take Gus. 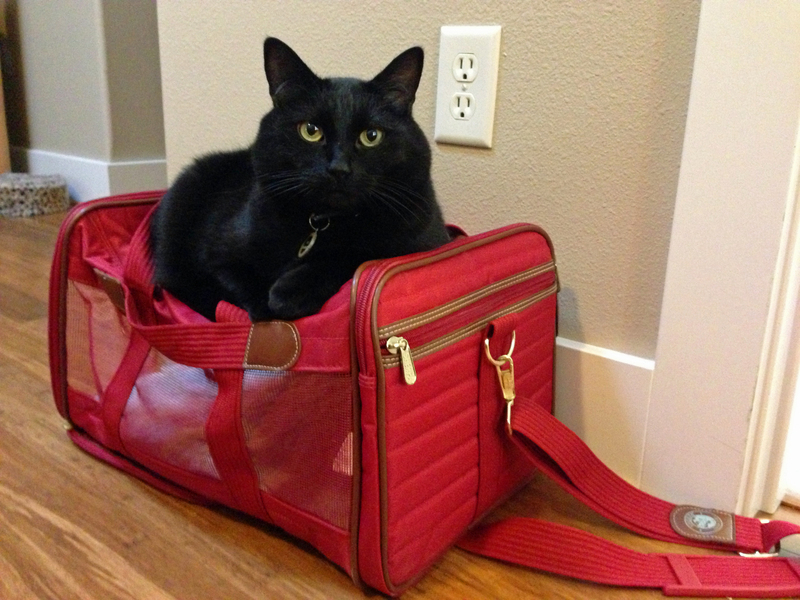 Gus loves little cubby holes in which to sleep, but he generally hates cat carriers. Actually, he loves sleeping in them. He just doesn’t like being forced in one and having the door closed. Then, he turns into a yowling, howling, peeing (yes, peeing!) mess. 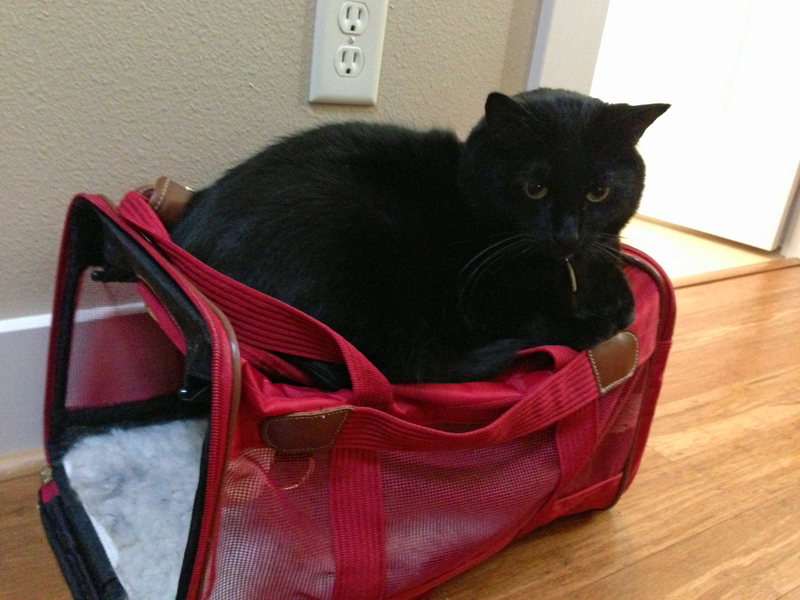 The other day, he solved this dilemma — by sleeping on top of the carrier. Yes, on top. And then there is Cooper and Zoey. This is nothing new. They love each other. Completely. 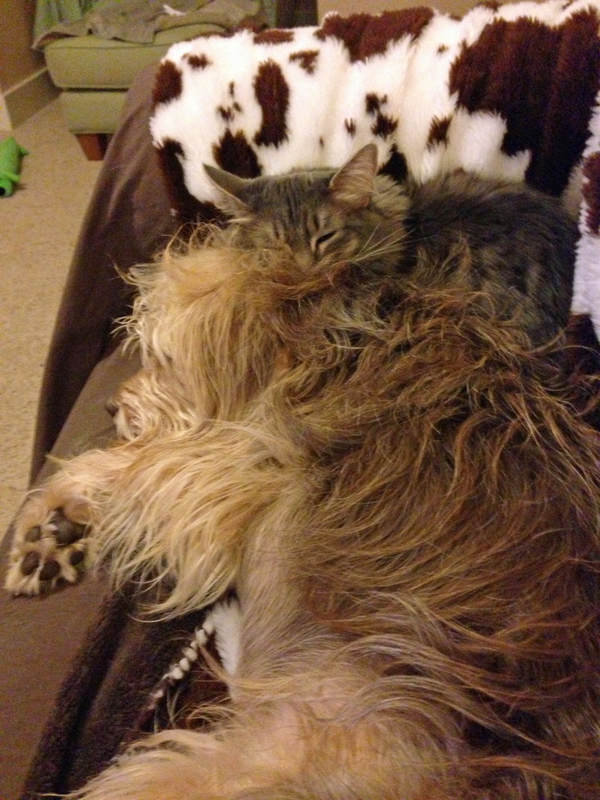 So, she groomed him until she grew tired and then curled up in his considerable coat. 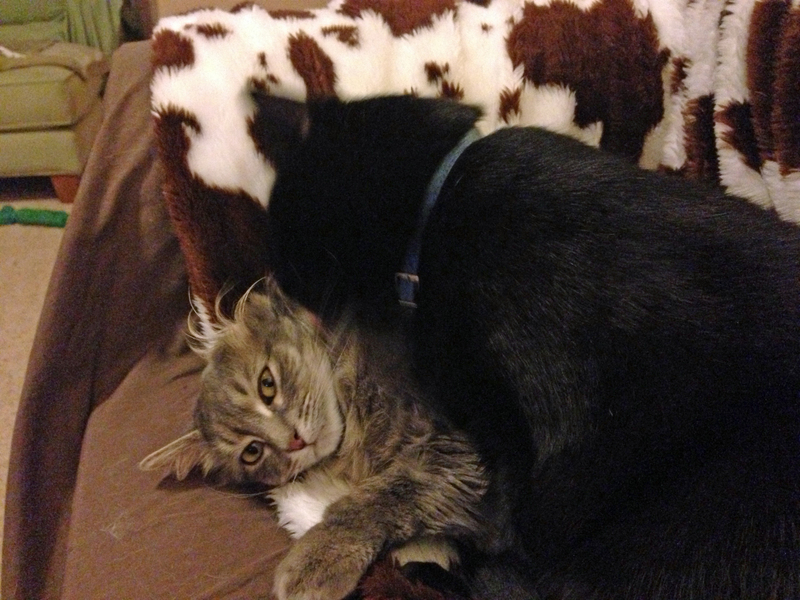 Thankfully, after Cooper finally left her, Gus decided that she needed a little attention of her own. It’s probably the sweetest thing I have seen in a while. 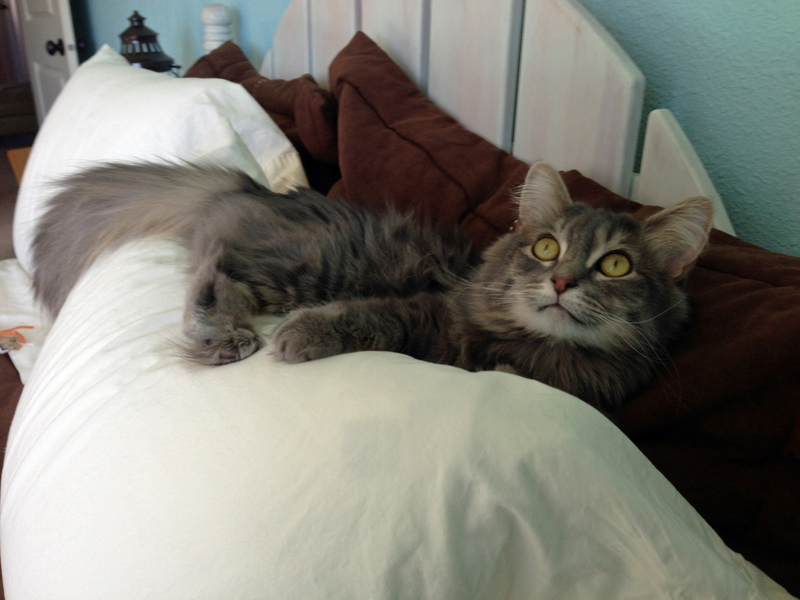 Finally, Zoey has recently decided that she needs to sleep on the guest bed. But the bed itself is clearly not soft enough. 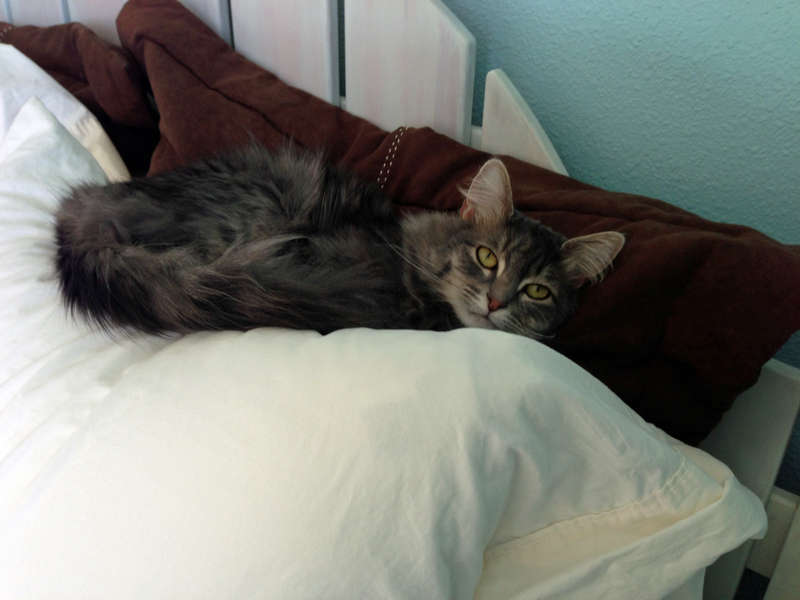 She has decided that she must sleep on top of the pillow on the bed. Sweet Gus. Never asking anything for himself (but an army man or two) :).